Hello! I’m Roy of Person Centered Tech. We know that you want to focus on your clients, so we provide articles, tools, and continuing education on how to best serve clients in the digital world. 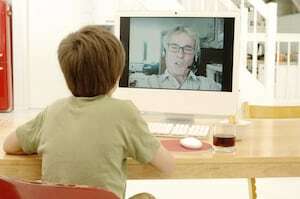 By now, most of us are aware that Skype is not suitable for online therapy. What isn’t clear to everyone is why. Also unclear is how it indicates a general trend in tech that will continue on forever and ever, and even now is affecting which email services we can use and how we back up our data. Skype didn’t change – the environment around it did. When secure, no-cost alternatives to Skype were released, and later when the HIPAA Omnibus Rule was released, Skype was rendered obsolete for mental health professionals. This pattern will happen again, so it’s important for us to be aware of how it happens. Before some time in 2012, one could argue (and at Person-Centered Tech, we did) that Skype was fine for online therapy so long as one took steps to reduce the risks of its use to reasonable levels. It wasn’t perfect, and paid telemental health platforms were available with better security and quality. For many professionals, however, Skype passed the cost-benefit test of reasonable security vs. cost. Before these low-cost, high-quality, telehealth-oriented options appeared in the market, Skype was a viable option for us to use. Now that these other alternatives have lowered the barrier between small mental health practices and high-quality health care video software, Skype becomes a nonsensical choice. 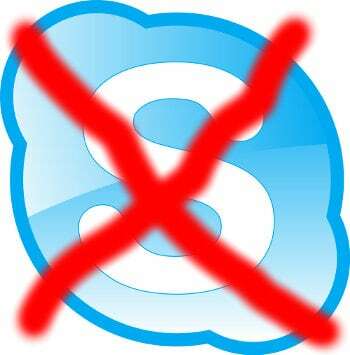 All of the reasons to to use Skype are mooted because various, far superior alternatives are just as easily adopted. who is offering our readers 15% off for life! Wondering why this is here? See our sponsorship policy for details. Roy says: Hushmail is one of several secure email options that serves health care practitioners like us. 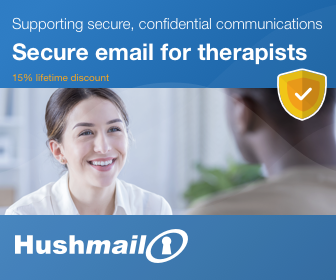 Hushmail is highly trusted, affordable, includes secure forms for your web page, and has earned a recommendation from us for use by mental health professionals. Learn more about Hushmail for Healthcare and get 15% off for life. 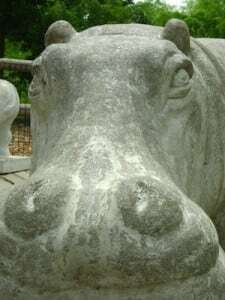 The 2013 HIPAA Omnibus Rue also threw in a monkey wrench to Skype’s market dominance by making the Business Associate rule tighter, and causing Skype to clearly become a HIPAA Business Associate. Because Microsoft (Skype’s company) won’t do Business Associate Agreements for Skype, that means we can’t use Skype and be strictly HIPAA compliant. What Is a HIPAA Business Associate Agreement? I propose an equation: Standards for Technology = Available Technology + Real World Environment. Skype fell below the standard when more suitable alternatives emerged and especially when the real world environment (HIPAA rules) changed. In 2013, we saw the same effect with email and online data backup providers. Email providers like Google and Microsoft 365 are now willing to offer Business Associate contracts to heath care customers who pay for the service, which makes it very difficult to justify using email services that don’t provide those Business Associate Agreements. The same is true with online data backup providers. This trend will continue, and best-choice technologies will change as a result. At the time of writing, smartphones are starting to become accessible to a larger portion of the US population, including low SES individuals. Additionally, secure texting apps designed specifically for health care professionals are getting less expensive and better suited to meeting our needs in mental health. Look for basic text-messaging through one’s phone company to become a professionalism no-go as these apps improve and smartphone ubiquity increases. We, of course, will keep you abreast of any such changes here. Get certification of completing a standards-based telemental health program taught by one of the top experts in the nation. Sign up to get authoritative articles in your Inbox, our whole collection of mental health private practice forms for tech ethics and HIPAA, consent forms for email and texting, 2 free CE hours, and much more!